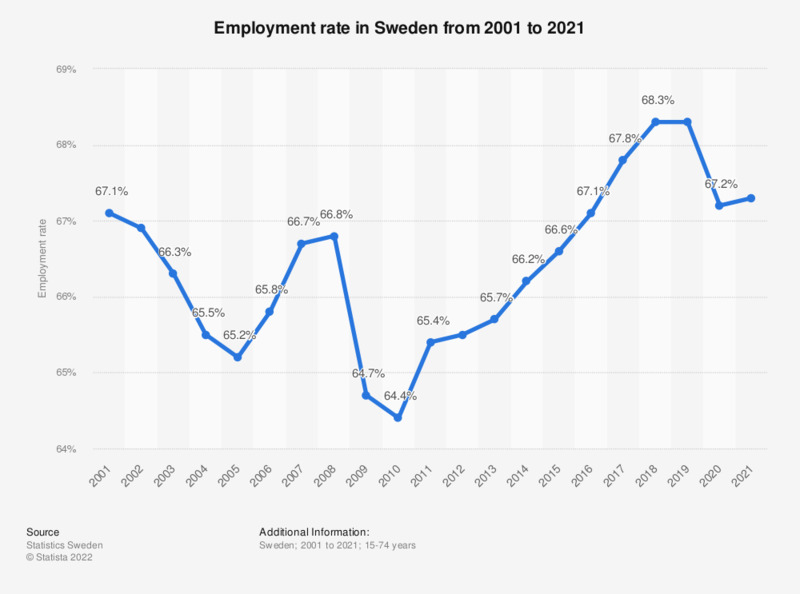 This statistic shows the employment rate in Sweden from 2007 to 2017. The lowest employment rate in this period was in 2010 when the employment rate was at 64.4 percent. Since then the employment rate has been slowly increasing and in 2017 it was at 67.8 percent.